Advantage DKS II - Raintight - Security Brands, Inc. 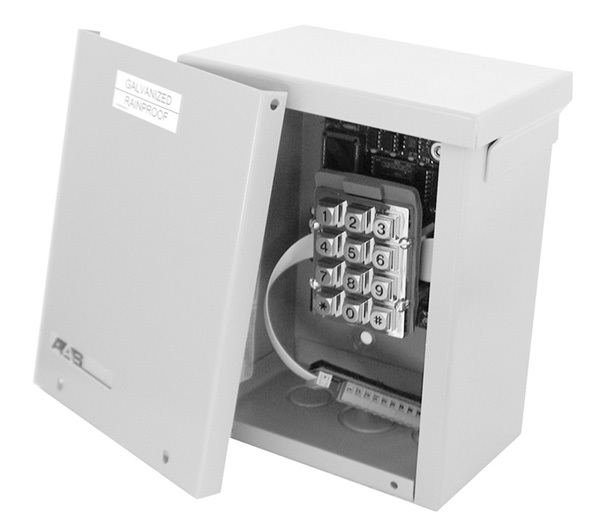 The AdvantageDKS II controllers are available in three configurations: post mount, desk mount, and raintight enclosure. 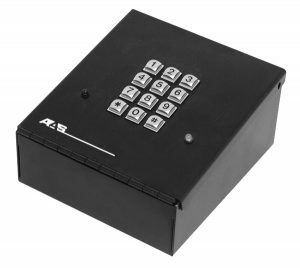 Post-mount models are housed in heavy powder-coated steel enclosures with stainless-steel faceplates and metal keypads, the desk-mount model cabinets (interior use only) are made of black powder-coated steel, and the raintight models are mounted inside standard raintight electrical enclosures. 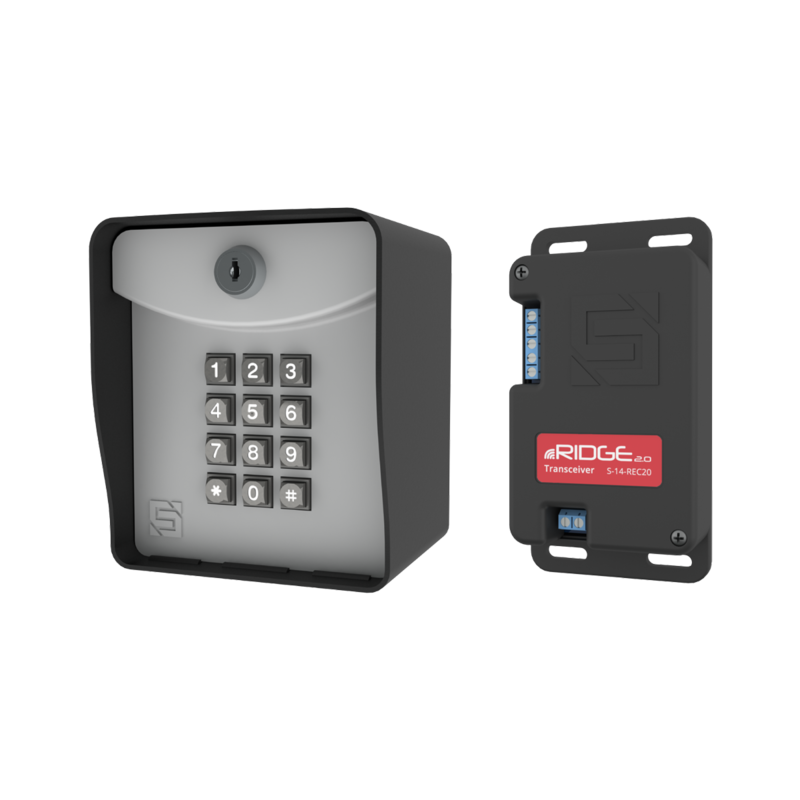 Each AdvantageDKS II controller allows the user to randomly generate up to 1,000 five-digit codes and automatically enter them into memory. These codes can be printed out using an RS-232 serial-port printer. 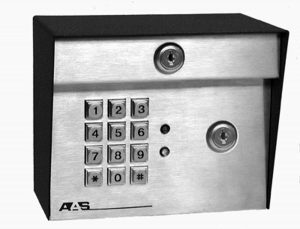 The controller will also report time, date, code number entered, relay activated, and valid/invalid code status.